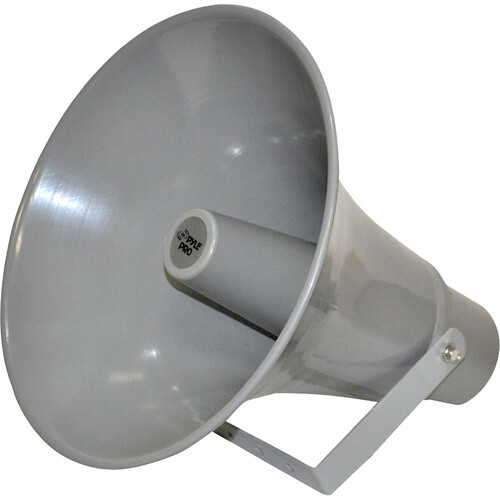 The gray 13.5" Indoor/Outdoor 50W PA Horn with 70V Transformer by Pyle is designed for your audio signal to be heard louder at long distances. This 50W speaker includes a 70V transformer tapping at 50, 25, and 12.5 watts. It includes a mounting bracket and hardware for easy installation. Box Dimensions (LxWxH) 16.3 x 15.0 x 14.8"